I’ve discovered an increasing number of small business owners are experiencing a similar issue – “free” and “easy” website building platforms, such as Wix or Weebly. Clients are coming to us with websites they were able to create using these platforms that look professional enough but that simply can’t be found in any search engines. This is why companies like 21ology.com exist. These platforms are fantastic at doing one simple thing: making good looking, terribly performing websites. 1. It Hides all the Hard Stuff! While this may seem like a good thing to a business owner on the surface, when it comes to being discovered on the web, it isn’t. Platforms like Wix or Weebly focus on designing websites as though they are merely online brochures. I can assure you, this isn’t the case. While a large amount of care should be put into the design of any website, a great deal of that design needs to be centered around technology. In short: what you see on a website, is not what Google’s search engine sees on a website. Google doesn’t care about your color scheme. Google doesn’t care about your parallax picture. The reality of a website is that there are many things which must be considered before even moving on to a design phase. What is your website trying to accomplish? Who are you trying to get to your site? What do you think they will be searching for? What is going to be an effective call to action? How are you going to track your websites performance? These are all questions any competent web developer should be able to answer about your business when designing your website. Sure, on the surface it seems great, but, it’s all relative. How much time are you spending on this? How much is your time worth? Let’s be honest and weigh the opportunity costs. Is your business going to benefit more from having your undivided attention, or from you spending time attempting to become a web developer over night? How could you have better spent the time you are taking to even read this article? Some things are better left to the experts for a reason! Let’s not forget about all of the lost potential customers. You may get a nice new website up and running with Wix and Weebly – but with no SEO design or tools, you aren’t going to get much (if any) organic traffic from search engines. How many jobs are you losing out on right now? How much business is it going to cost you once you realize that no one is seeing your site? After-all, what good is a shiny new website if no one is going to ever see it? Of course there is also the nature of the “freemium” business models to which Wix subscribes. It starts cheap, sure, but if you want decent bandwidth, that’ll cost you. You want it to do something special? There’s an app for that (but it will cost you)! Add it all up and you may not even be saving anything over using a professional! This one is a little more strait-forward. You have your website up and running and your business is taking off; you need to add some features to your site now, and you’re finding out Wix doesn’t support that. Now you need to start from scratch! When you find yourself in this position you can’t move your content out of Wix, you’re stuck starting over somewhere else. With a professional like 21ology.com your website is scaleable – it is guaranteed to grow with your business. Want a new look? We can keep all of your content and change the layout! With a professional you don’t have to worry about these silly limitations. Remember to factor this redesign/growth time and money when trying to decide your initial budget. While it may seem like you can’t afford a professional in the beginning the reality is that you probably can’t afford not to! Wix makes it “easy” by securing the domain (the web address of your website) and handling those behind-the-scenes technical pieces for you. While I can see the appeal to this there are some extreme limitations. Bandwidth and traffic limitations for one. 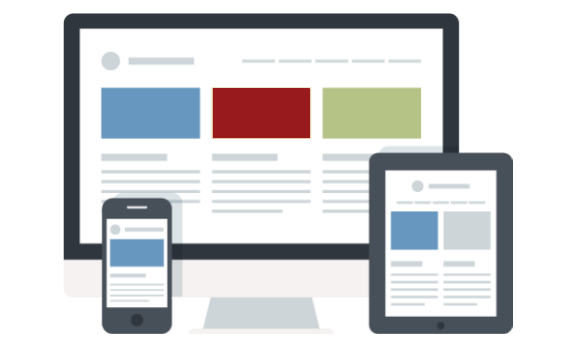 Having a conference or presentation and have a lot of people trying to view your website at the same time? Get ready for a lot of errors. Notice your site is taking forever to load? Want to complain or try to resolve the issue? Better dial that 800 number, you’ll be waiting on hold for a while, and you’ll eventually talk to someone in a foreign country that will inform you it’ll only take $X to improve your site’s performance. With a professional like 21ology.com you know exactly who to contact in the unlikely event that something like that happens, and you know it will get resolved quickly. What is peace of mind worth to you? You can build an attractive website using platforms such as Wix or Weebly. However, these platforms do a really good job of allowing you to create great looking, pour performing websites. You very well may end up with an online brochure that nobody will ever see. It won’t have much scalability, especially if you need to add features. You can’t move it anywhere else, and it won’t accommodate a ton of traffic. When starting or expanding a business there are a few investments that need to be made to ensure your success. In the 21st century, securing a digital presence is one of them. In today’s technical world that means securing a partnership with an expert, such as 21ology.com. Steven worked as a Technical Architect for ExactTarget/Salesforce for over 5 years managing many digital Marketing campaigns for some of the world's largest brands. He resigned from Salesforce to get back into the "start-up space" and to help small, local businesses succeed by leveraging his years of experience in digital marketing and advertising and adapting them to small to medium businesses.